A dense and rich red, with aromas of blackberries and blueberries, with an undertone of minerals. 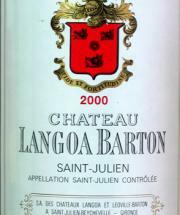 Full-bodied, with lots of tannins and loads of structure and length. Just a baby, but already muscular and developed. Best wine from this estate in years.